On Tuesday, a Russian plane was accidentally shot down by the Syrian air force, killing fifteen service members. Top Russian officials blame Israel for the deaths, but the IDF denies being in the area at the time of the attack. Some claim that the Russians are blaming Israel to avoid having to explain to Russians at home why their Syrian allies attacked them. In response, Israel’s prime minister said Syria alone was responsible for the attack and denied any Israeli involvement in the attack. Netanyahu did, however, did offer to help Russia with their investigation into the incident. Netanyahu’s comments come in the wake of Putin’s depiction of the event as a mistake resulting from chance circumstances, a more conciliatory picture than the earlier Russian portrait of a malicious Israeli attack. 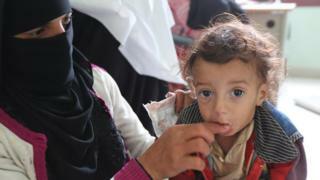 Famine is threatening an additional one million children in Yemen, the charity Save the Children warned on Wednesday. Rising food prices and the falling value of the country’s currency as a result of a civil war are putting more families at risk of food insecurity. Another threat comes from fighting around the key port city of Hudaydah, which is the principal lifeline for almost two-thirds of the population. At least 6,660 civilians have been killed and 10,563 injured in the conflict, according to the UN. Thousands more civilians have died from preventable causes, including malnutrition, disease and poor health. The war has also led to severe delays in salary payments for teachers and public servants, with some people receiving no wages for almost two years. Those who are paid face food prices which are 68% more expensive than when the war began. Save the Children says a total of 5.2 million children now face famine. Reuters reported on how Moroccan authorities are cracking down on African migrants passing through the country Morocco on their way to Spain. With passage to Italy becoming increasingly difficult as right-wing groups fight migration, many Africans are trying to make their way to Europe through Spain. Morocco is a common stop on the journey because of its proximity for Spain and because it does not require other Africans to obtain a visa to visit the country. Human rights groups, such as Amnesty International, criticize the Moroccan government’s behavior, claiming that many Africans have been forcibly displaced to remote areas, despite the fact that some of them possessed legal residency cards. On Wednesday, the Trump administration announced its desire to negotiate a treaty with Iran that would include a curtailing of Iran’s ballistics program and an end to its involvement in Syria and Yemen. The U.S. special envoy to Iran claims that any new agreement will be more stable than the Obama-era nuclear deal, because it will be a Senate-ratified treaty, rather than a more personal agreement between two governments. However, Iran has not been willing to enter into talks with the U.S. since Trump’s withdrawal from the nuclear deal earlier this year. On Saturday, at least 25 people were killed and 60 others wounded in Iran after militants dressed as soldiers opened fire on a military parade there. Such terrorist attacks are rare in Iran. Iranian state-run news outlet the Islamic Republic News Agency (INRA) reported that the death toll was expected to rise after four gunmen fired on the crowd at the annual military parade in Ahvaz in southwest Iran. According to the New York Times, Islamic Revolutionary Guards Corps soldiers and civilian attendees were killed and injured. Two of the shooters were killed and the other two captured. The Associated Press reported that the region’s Arab separatists claimed responsibility for the attack but, according to the Wall Street Journal, the Islamic State claimed responsibility as well. The Iranian authorities did not deem the Islamic State claims credible and blamed the separatists. 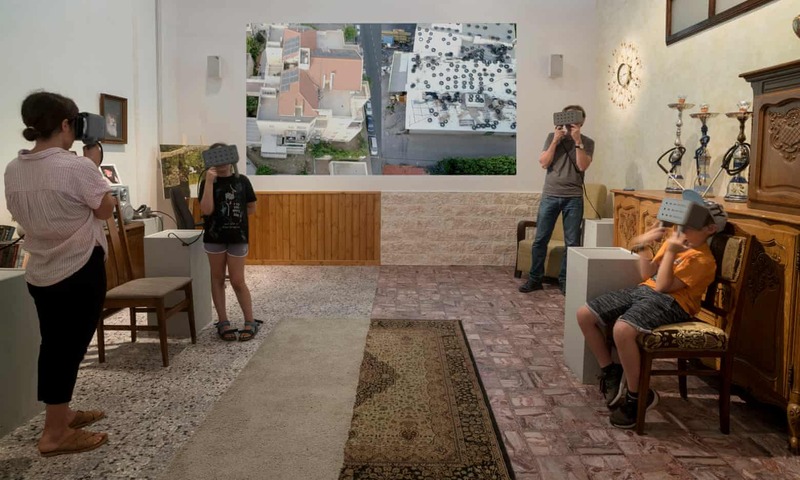 Finally, an Israeli artist created an exhibit in the Israel Museum where Israeli visitors can visit a Palestinian home virtually. The virtual reality tour also includes conversations with the actual Palestinian family who lives in the home. The purpose of the exhibit is to overcome the physical, legal, and cultural barriers that prevent Israelis and Palestinians from getting to know one another despite their proximity. For Mizrahi Jews who originated from Arab-speaking lands and migrated to Israel after its creation in 1948, the installation also reflects their own Arab culture and the heritage that they share with Palestinians.